It is widely believed now that we have entered the age of capitalism and liberal democracies. It is also held that the age of socialism, communism, and revolutionary struggles is dead. Yet, socialism has a rich, lengthy history, and it is active today in many instances. As long as capitalism and the modern world continue to manufacture grave political and social inequalities, socialism is far from over. Pioneered by Karl Marx and Friedrich Engels, the ideology of socialism is at an interesting point in its history as the world reels in the various threats posed by neoliberalism. Mao Zedong, also known as Chairman Mao, is known as the founding father of the People’s Republic of China. Mao was the chairman of the Communist Party of China, till his death in 1976. He is revered in the history of China for freeing it from imperialist forces, establishing it as a modern power, and making rapid, magnificent strides in healthcare, education, and life expectancy of the country. He is, however, also infamous for ruling China with an iron grip, for his dictatorial leadership, human rights abuses, etc. 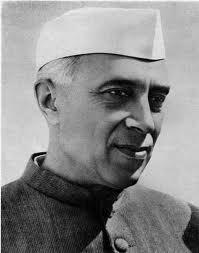 Jawaharlal Nehru was the first Prime Minister of India, being at the forefront of the Indian National Congress (INC) with Mahatma Gandhi in the long-drawn freedom struggle of the country against exploitative British rule. After a bloodied Partition of the subcontinent, Nehru took the reins of the country, forging a secular, democratic republic that has stood the test of time. He laid the foundation of the independent republic after two centuries of oppression, being deeply inspired by the various successes of the Soviet Union. Nehru wanted to establish a democracy in every sense of the word: social, political, and economic. For his wonderful ideas, Nehru holds a special place in the history of India, as also, given his internationalism, in the broader history of the world. Fidel Castro is a living leader and advocate of Marxist-Leninism, socialism, communism, and humanitarianism. He is a Cuban revolutionary, and partook in the Cuban Revolution. Castro is credited for establishing the Republic of Cuba, and has been both its Prime Minister and President. He nationalised industries and businesses, and enabled the accessibility of healthcare and education for all. He allied with the Soviet Union, and was a key player in the Cuban Missile Crisis of 1962. As with most socialist leaders, Fidel Castro is also seen as a totalitarian dictator who ruled the country in an undemocratic fashion, and it is recognised that his period also saw a mass-exodus. His history, therefore, is controversial. Salvador Allende was a Chilean socialist leader who is regarded as the first leader of Marxist persuasion to be voted to power in Latin America through a popular democratic election. He nationalised and collectivised industry, and established socialist precepts in Chile. Following a set of circumstances, however, Salvador Allende shot himself dead with an assault rifle in 2011. Mikhail Gorbachev was the last leader of the Union of Soviet Socialist Republics (USSR) before its untimely demise in 1991. Gorbachev confronted the political entity in a state of heightened crisis when there was popular resistance to Soviet rule, as well as growing economic stagnation and eventual decline. He tried to prevent this decline, as he saw it, through reforms that sought to democratise the system, as well as match the progress of the West. These reforms, however, failed. Gorbachev’s supporters believed he was moving too slowly, while his critics in the Communist Party believed he was moving too quickly. Mikhail Gorbachev, therefore, could not prevent the decline of the Soviet Union, and had to therefore witness its gradual disintegration. Leon Trotsky was a Soviet politician, as well as a popular Marxist theorist and thinker. Trotsky was part of the October, or the Bolshevik Revolution of 1917 along with Vladimir Lenin, and allies. He is known to have founded the Soviet Red Army. He was also a major player and leader in the Russian Civil War, and hugely responsible for the Bolshevik victory. Leon Trotsky was a firm, active critic of Joseph Stalin and the ideology of Stalinism, and criticised Stalin for his autocracy and dictatorial bureaucracy. Trotsky was eventually exiled from the Soviet Union by Stalin, and subsequently assassinated for his political opposition. Martin Luther King, Jr. was an American Baptist politician, and more importantly, a civil rights activist who worked extensively for the advancement of the rights of the African American community of the United States. Influenced by his Christian beliefs, Luther King’s movement is recognised for his precepts of nonviolent civil disobedience, for which he was also conferred with the Nobel Peace Prize. Having forged the African-American movement, he struggled against violence, segregated housing, and for voting rights and equal status. Martin Luther King, Jr. was assassinated, causing riots across the country as well as a flurry of posthumous prizes which were conferred on him for his monumental contribution. Joseph Stalin was a Marxist thinker in so far as the founder of the ideology of Stalinism, as well as a Soviet politician who headed the Communist Party for a certain period. Stalin is known for his project of collectivisation, as well as its associated ramifications. He is, most importantly, a controversial figure for his several human rights abuses and excesses, political assassinations, as well as the general autocratic nature of his rule. Particularly, as he is quoted, ‘The death of one is a tragedy. 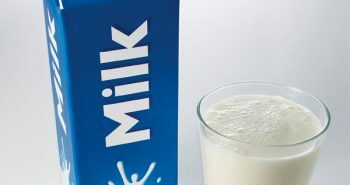 The death of a million, a mere statistic.’ Joseph Stalin is historically held responsible for driving the Soviet Union to a state of decline, and therefore, for its eventual disintegration that Gorbachev could not avert. Either way, he is an important figure. Ernesto ‘Che’ Guevara is a celebrated Marxist thinker, activist, revolutionary, and leader. 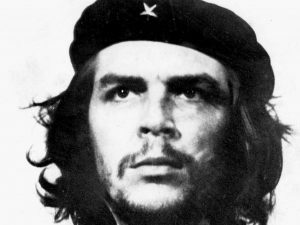 He played a monumental role in the Cuban revolution, and is now globally recognised as a cultural symbol of resistance, struggle, and activism against capitalistic exploitation. Guevara came from an aristocratic family, but gained rich exposure, very early in his life, to thinkers as Marx, Freud, Pablo Neruda, even Jawaharlal Nehru. He was affected profoundly by inequality and the exploitation of workers, seeing emancipation in violent revolutionary struggle, instead of civil, nonviolent disobedience. Guevara was eventually assassinated, but his rich legacy lives on till date, celebrated in Marxist and socialist struggles alike across the world. 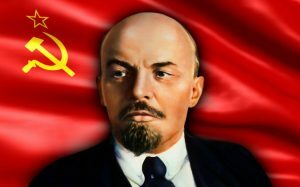 Vladimir Lenin is perhaps the most ornamental figure in the history of socialist struggle, as also the most celebrated Marxist-socialist leader who is viewed as an inspirational figure even by those of different ideological persuasions. Lenin led the Bolshevik Revolution in Russia in October, 1917, leading to the establishment of the Union of Soviet Socialist Republics. A unique political experiment, this was the first time in human history that precepts of equality, abolition of private property, and such were politically enforced. Lenin was also a Marxist thinker, and has produced an extremely rich corpus of texts that have established the ideology of Marxism-Leninism. Although the Soviet Union eventually disintegrated, Lenin’s contribution to human history is indelible, rather quite spectacular.